Here it is, three of the best rock climbing destinations the Andes Mountains have to offer. These areas are spread out across three counties, and are generally situated at the hotspots of each countries’ alpine and climbing destinations. Other posts have talked about more well known climbing areas, but this post is for the true adventurists, people who want to go off the beaten track to unknown and relatively unestablished sport and trad climbing areas. Sure you might not see another climber for days, but isn’t that half the fun? Not far from one of Bolivia’s climbing capitals, Sucre, we have El Eden. Raw, rural, and isolated, El Eden is an oasis in an otherwise desolate land. With no cities nearby (Potosi is about 3 hrs away) and with a limited climbing culture in Bolivia, it is very unlikely you will see another climber here. 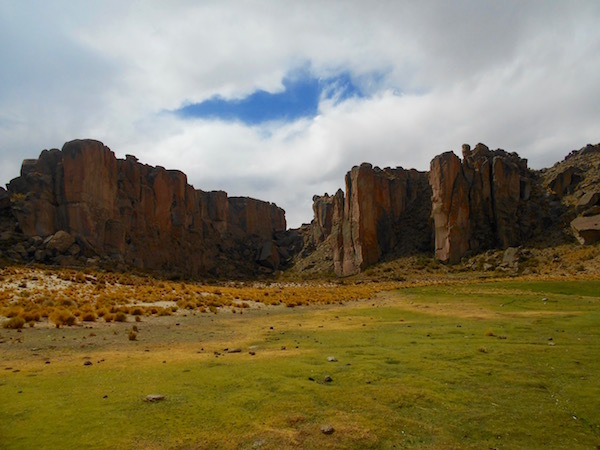 But what you will find is a stunningly beautiful setting and an experience unlike any you’ve ever encountered and Bolivia’s best rock climbing. Why Go Climbing at El Eden? This place is truly unique. 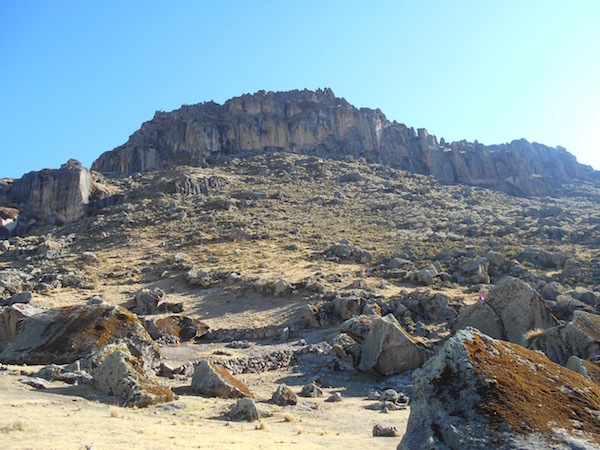 The climbing is located in a desert high in the Andes mountains (its elevation is around 4000m). 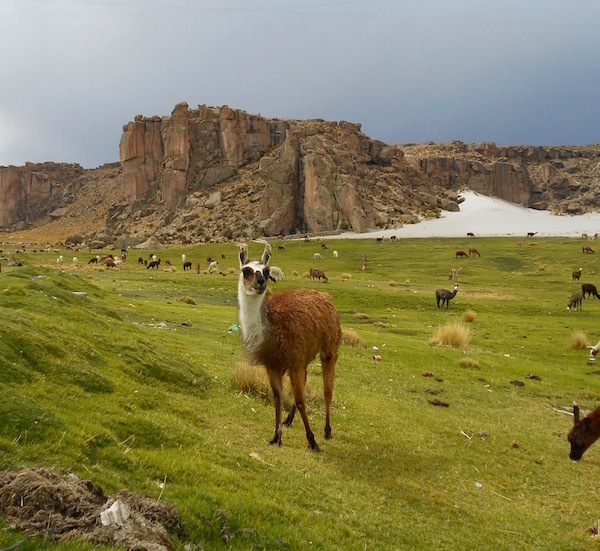 El Eden is, as the name suggests, an oasis which sustains just a bit of life, namely, a few farmers and a lot of llamas. Though desolate, the landscape is stunningly beautiful. The rock itself is very high quality volcanic rock. The cliffs seem to just shoot up out of the sands below. The area is mostly sport climbing, but there are a few stunning trad lines which most can only hope to encounter a few times their lives. The people who reside near the rocks are farmers who live a very “simple” life. It is a great place to see the real Bolivia. I wouldn’t even be surprised if they invited you in for a coffee! El Eden resides in the southern highlands of Bolivia, on highway RN 5 between Potosi and Uyuni. Luckily, these are two of Bolivia’s major tourist destinations, so there are daily busses between the two. There is a small and cozy, though a bit dirty, climbing refugio located very near to the climbing. I would contact Carlos Vargas on Facebook if you plan on staying there. He is a local climber from Sucre who has been responsible for much of the route development in Bolivia. He also is one of the people responsible for reservations. But if you just showed up with some cash I don’t think there would be any issues. 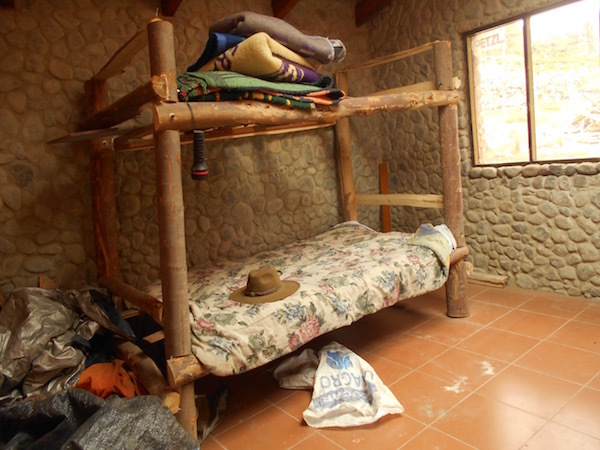 The refugio has a few bunk beds and mattresses to sleep on. There is a common room which has a nice fire (with wood!) to keep you warm at night. There are also pots, pans, plates, bowls, and a stove to use. When I stayed there (Dec 2016) there was no water in the pipes due to an extreme drought. There was a small and rather dirty stream nearby which we pulled the water from. You will need to purify this!! There are a lot of farm animals in the surrounding fields who use the same water source. A mechanical filter would help get some of the taste out…. Carlos has also put together the only topos for the area. Contact him to get some photos sent over. You can get to El Eden with a car or by bus. The climbing is located immediately after the San Juan bridge. If you are coming by bus, let your driver know where you want to go. He should know what you talking about. The bridge can be found here on Googlemaps. Get off at the sign which reads “ETCIA Churata” and walk down the dirt road for 5-10 minutes until you reach a small grouping of about 5 buildings. Bring a standard sport rack, a 60m rope will do. There are also some very good trade lines. A full rack is required to climb these. If you are staying at the refugio, you won’t need to bring cooking supplies/gas. However, you will need to purify the water. Boiling works for purification, but the flavor may still be bad. Bring in your own food as there is nowhere to shop by the climbing. A few hours outside of Quito, you will leave the dry Andes Mountains and descend down into the lush tropical valley below. Here you will encounter Cuyuja, a small town marked only by a few buildings and a large statue of a climber . This is the location for some high quality climbing and friendly people who will be ecstatic that you decided to stop by. 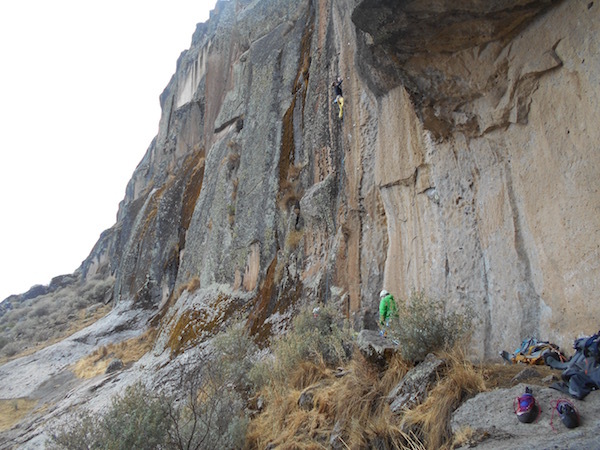 Why Go Climbing at Cuyuja? 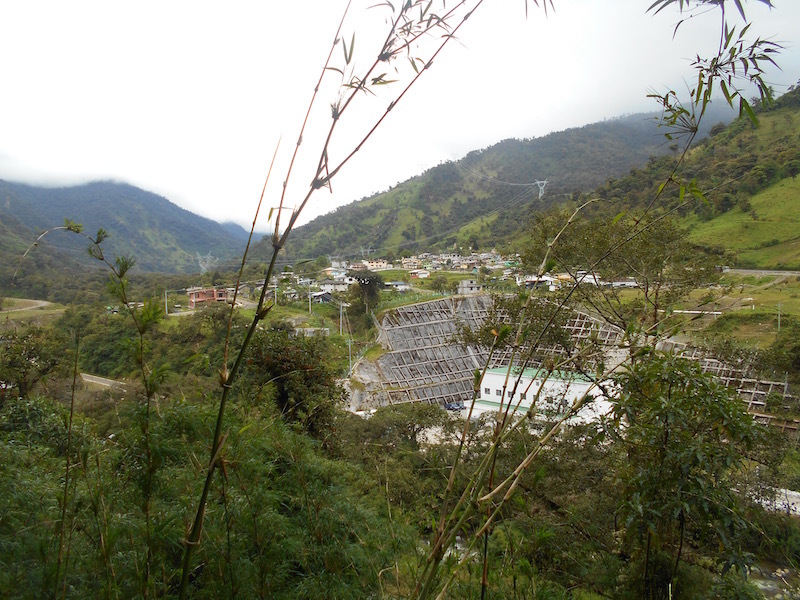 Cuyuja is arguably Ecuador’s best rock climbing destination. It certainly is within a day of Quito and one of the most developed, with over 75 routes of various variety and difficulty. The climbing is mostly vertical, requiring the use of feet and strangely shaped holds. This makes for interesting and fun climbing. Alex Honnold visited Cuyuja a few years ago during his trip to South America and it was during this trip he put up the line aptly named ‘Honnold’s Sick Linkup (7c+)’. The area is located on the outskirts of the Amazon jungle, so it is tropical and wet at times. There are a nice variety of wildlife around and the scenery is amazing! 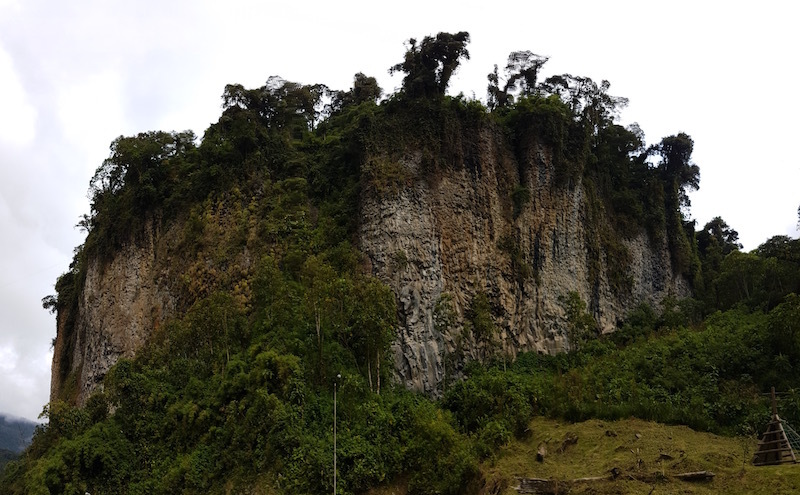 The climbing is on the outskirts of the small town of Cuyuja, located in Napo Ecuador. The rocks can be easily seen from the city. To reach them, follow the main road down the hill towards the rocks, and cross the bridge. Topos for the routes can be found here!! There are only a few options to stay in town. This is not a ‘tourist’ destination so accommodation is limited. Your best bet is just going to town and asking around once you get there. Doña Dorila has rooms for rent in the Posada del Escalador and there are also places to stay in a few of the local restaurants. These things tend to change frequently around Latin America, but if you show up with some cash you’ll be able to find a place to stay easily. If you have camping gear you can stay for free in the public park where the climbing is located. There are a few small shops in town, a laundromat, a butcher, and a small pool hall in town as well. Beware of the dogs! How to Get to Cuyuja? To arrive at Cuyuja bus go to the Terminal Terrestre Quitumbe and take a bus towards Tena or Baeza. You’ll have to tell the bus driver to let you off at Cuyuja before either of these final destinations. The town will be about 20 minutes downhill after you reach the town of Papallacta. The ride will take 2-3hrs depending on road conditions. More information on how to arrive at Cuyuja can be found here. What to Bring to Cuyuja? What Should I Climb at Cuyuja? Topos can be found here. Zone 8 has some great warm up routes and also has the best photo opportunity of the climbing and surrounding area. Pure Morning (7a) Zone 4 – A really fun technical climb which requires unique stemming and dihedral techniques to chain. La Grandota (7b) Zone 3 – An excellent route which requires endurance, explosive strength and good balance to reach the top. Highly recommend. For more reading on the climbing in Ecuador see “Northern Ecuador’s Best Rock Climbing“. High in the Andes Mountains with the Cordillera Blanca shining in the background, you’ll find the hidden climbing gem of Inka Wakanka. Only developed a few years ago, this area has the potential to become one of Peru’s top climbing destinations. Secluded and beautiful, climbing here feels almost unworldly. The setting is unique and peaceful. A must see for anyone who is around Huaraz and looking to find some high caliber climbing away from the crowds. Why Go to Inka Wakanka? To start off, the setting is stunningly beautiful and unique. Located high in the Andes Mountains (the altitude here is over 4000 meters), the land has a desolate and deserted feel to it. Being there feels almost eerie, like humans haven’t yet touched the land. Though desolate, the area is at the same time very beautiful and filled with life. You may even be lucky enough to see a condor fly overhead! The climbing here is very good. As of now there are maybe only 30-40 bolted routes, but there is a lot of potential and new routes are constantly being opened. The official Huaraz Climbing Guide does not yet have Inka Waqanqa included, but luckily, after the 2016 climbing festival a topo was made and can be found online here!! Where is Inka Wakanka Peru? Inka Waqanqa is located off of highway 16 between the small towns of Cajacay and Conococha. 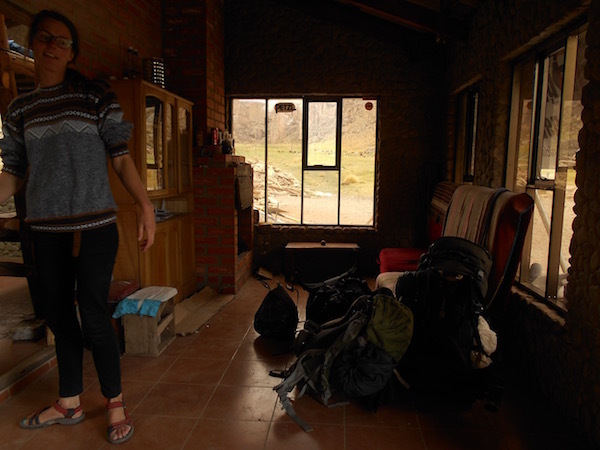 This is about 2-3 hours from Huaraz which is most likely the major city you will be coming from. The exact Googlemaps location can be found here. The climbing area itself isn’t by any towns, so you’ll have to bring in your own food and tent to camp. As of Nov 2016, there was a tap set up for the climbing festival which provided a steady, but small, stream of water. This still needs to be purified before drinking because there are a lot of livestock in the area. The area has been affected by droughts, however, so it would be a good idea to bring some of your own water in case none can be found. What to Bring to Inka Wakanka? You only need to bring a 60m rope and a set of quickdraws. The area has some loose rock too, so a helmet wouldn’t be a bad idea either. There is some great bouldering in the surrounding area as well, so bring a crash pad! Sector Naranjo is the best area for beginner climbers, with numerous routes from 5+ to 6b. 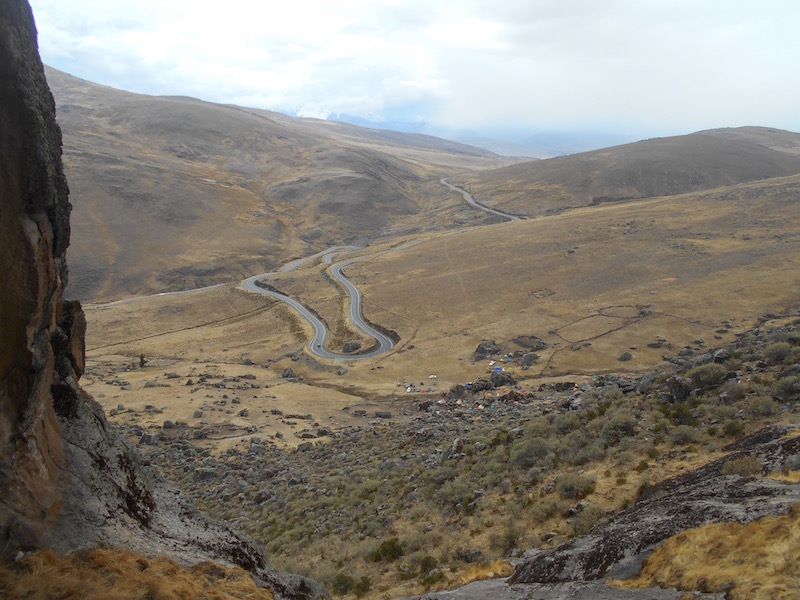 Alternately, sector Las Terrazas and La Cueva de Los Gauchos has higher quality and longer routes. What Should I Climb at Inka Wakanka? Amigos Sin Fronteras – (7a+) Cueva de Los Gauchos – Exposed arête climbing! El Vuelo del Aguila – (7b) Cueva de Los Gauchos – Steep and pumpy. Los Gritos de La Mente – (6b+) Las Terrazas – A long climb on good holds, an excellent warmup. The climbing is located only a hundred meters or so off of the road, (take a look), so the best way to get there is by car. It is also possible to arrive by other means. The nearest town is Catac, which can be easily arrived at by bus. From there you should be able to find a cab easily to take you the rest of the way (~60soles). Busses run past the climbing as well. Just take a bus heading in the direction of Cajacay and tell them where to let you off. This could be difficult depending on your level of Spanish because the driver is not likely to know where you’re talking about. Returning back towards town may be more difficult. Unlike most places in South America, the busses here don’t seem to want to stop to pick you up when you’re on the side of the road. You may need to resort to hitchhiking to get yourself back to a town, or if you have a sim card, calling a cab driver to pick you up. Luckily, this is easy to do and relatively safe. It wouldn’t be an adventure if it was always easy! 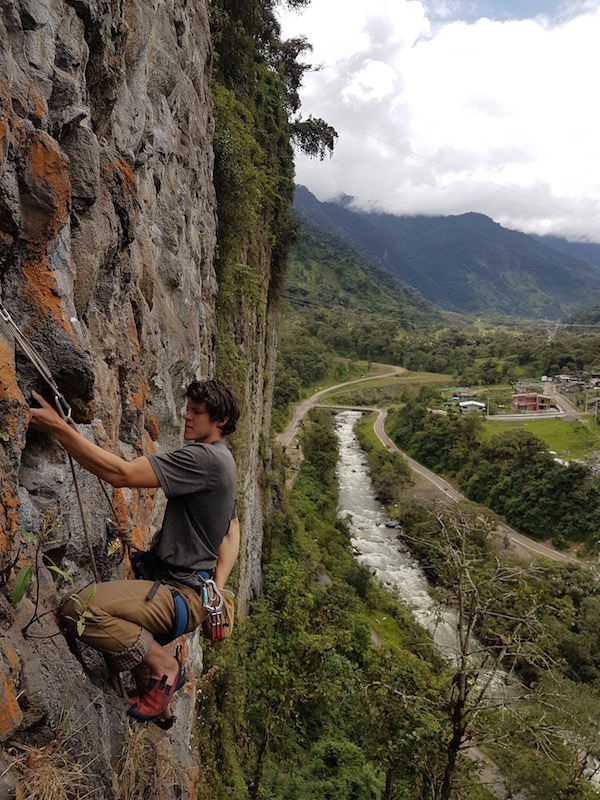 For more reading see: “The Top 3 Places to Climb in Colombia” and “Northern Ecuador’s Best Rock Climbing“.